The Atlanta Braves visit PNC Park on Friday to play the Pittsburgh Pirates. The probable starters are Williams Perez for the Braves and Francisco Liriano for the Pirates. The opening line for this matchup has Atlanta at +178 and Pittsburgh at -188. The over/under was set at 7. The Braves, with a 41-31 run line record, cover the spread 57% of the time. They also have a 42-26 over/under record. The Pirates have a 28-35 over/under record and a 32-39 run line mark, which means they are covering the spread 45% of the time. The Braves show up with a 35-37 record, including 16-22 on the road. Starting pitcher Williams Perez holds a 4-0 record with an earned run average of 2.78 and a WHIP of 1.37. He's pitched 45.1 innings thus far while surrendering 41 hits over that time and when he starts, the Braves are 5-2. Against the over/under, the Braves are 4-3 in his starts. His teammates are averaging 5 runs a game when he pitches. The bullpen's earned run average is currently 4.41 and they've given up 197 hits on the season. Teams are hitting .246 against the bullpen while being struck out 185 times and walking 92 times this season. As a team, Atlanta has allowed 8.79 hits per nine innings while striking out 7.12 batters per nine. They are 19th in the league in team earned run average at 4.02. Atlanta ranks 12th in the league in team batting average at .258 while hitting .259 on the road. Ranked at 13th in the league in on-base percentage, the Braves sit at .321 and they hold a .368 team slugging percentage. They rank 11th in baseball with 8.76 hits per game and Nick Markakis leads the team with 83. Pittsburgh is 22-12 at home while holding a 40-31 overall record on the season. With an earned run average of 3.26, Francisco Liriano will come into this game holding a 4-6 record and a 0.98 WHIP. He's pitched 88.1 innings thus far while surrendering 59 hits over that time in which the Pirates are 4-10. Against the over/under, the Pirates are 6-5 when he starts. His teammates score an average of 4.2 runs a game when he pitches. The bullpen's earned run average is currently at 2.39 and they have given up 186 hits on the season. Teams are hitting .230 against the Pirates bullpen while being struck out 188 times and walking 60 times this season. As a team, Pittsburgh has allowed 8.2 hits per nine innings while striking out 8.06 batters per nine. They are 2nd in the league in team earned run average at 2.92. They rank 16th in the league in team batting average with a .253 average while hitting .261 at home. Ranked at 19th in the league in on-base percentage, the Pirates sit at .311 and they hold a .379 team slugging percentage. 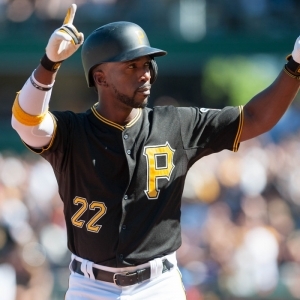 They rank 15th in baseball with 8.69 hits per game and Josh Harrison leads the team with 74. The Braves have committed 39 errors and have combined for 743 assists and 1,916 put outs leading to a .986 team fielding percentage. For the home team, they hold a .983 team fielding percentage while committing 49 errors, accumulating 824 assists and compiling 1,940 put outs.